Let me start of saying this is my second CSC. 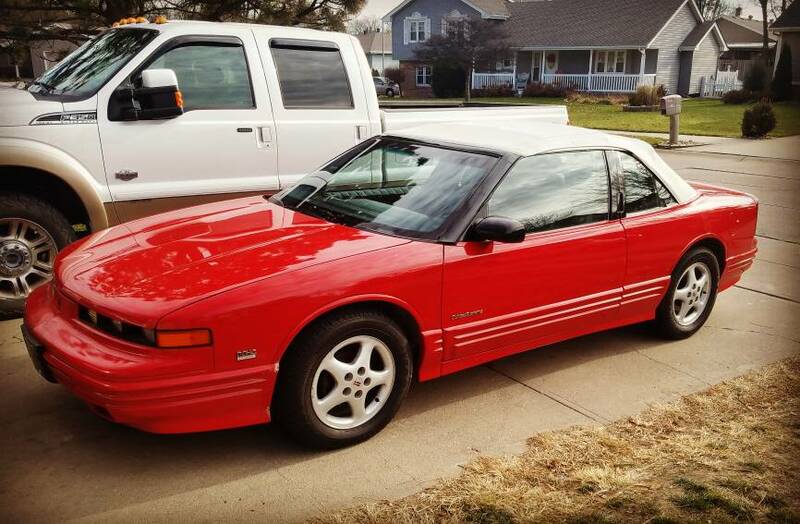 The first one was a 1995 LQ1 and my current one is a 1994 LQ1. Purchased the '94 back in November 2017, and been slowly working on bringing it back to a healthy life. I trailered it from Nebraska to Kentucky in December while my plant was closed for holiday shutdown. Couldn't drive it as it was a garage queen and knew it need some work. Current progress on the car has been a total top end reseal on all gaskets including the dreaded oil pump drive seal. 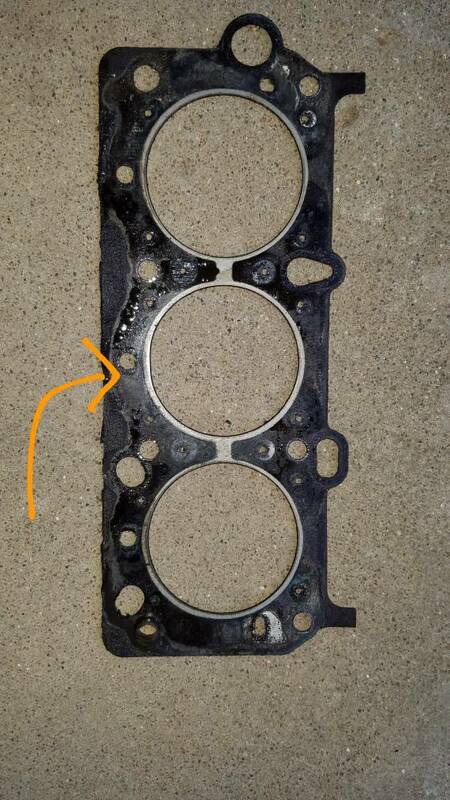 The Head gasket wasn't leaking but the fire ring on cylinder 4 was starting to bulge into the cylinder. 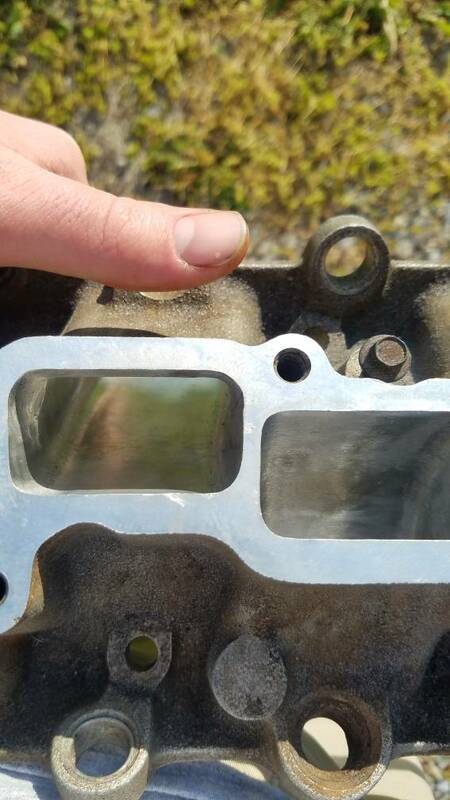 So I went ahead and took the heads off and sent them to a machinist and had them check the heads, put new valve stem seals on, and resurface the gasket mating surface. Other things I've done was chased a fluctuating idle which ended up being a chewed up fuel pressure regulator vac line. Fixed other harness wires from mice damage, including cyl. 3 & 5 injector wires, and oxygen sensor wires, it wasn't bad damage just annoying. I've also replaced the original red and black plug wires, coils, ICM, water pump that had shaft play and noisy bearing, oil pump drive shaft, oil pressure sensor. I've also pulled all lifters out making sure I marked their loaction and let them soak for a week in Berrymans B12 chemtool, and then let 1 week in marvel mystery oil in hopes they would be "refreshed". I'm currently in process of putting it all back together. 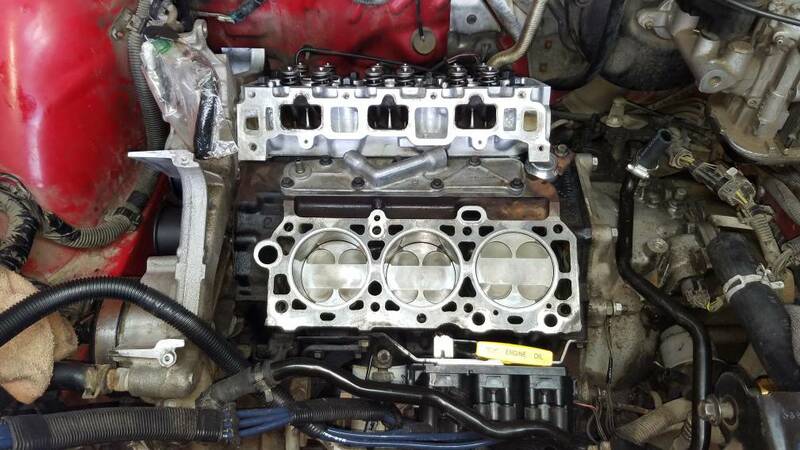 So far I've got both cylinder heads on and torqued down. Exhaust manifolds put on, rear head cam carrier on and torqued down. New timing belt idlers on, new plug wires routed to factory look. 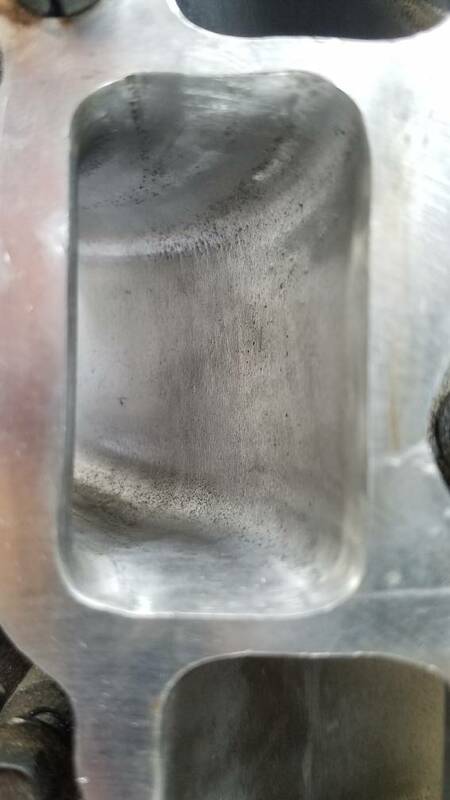 I also ported and polished the lower intake manifold, but it's too time consuming for too little gain so that's all I did with that. 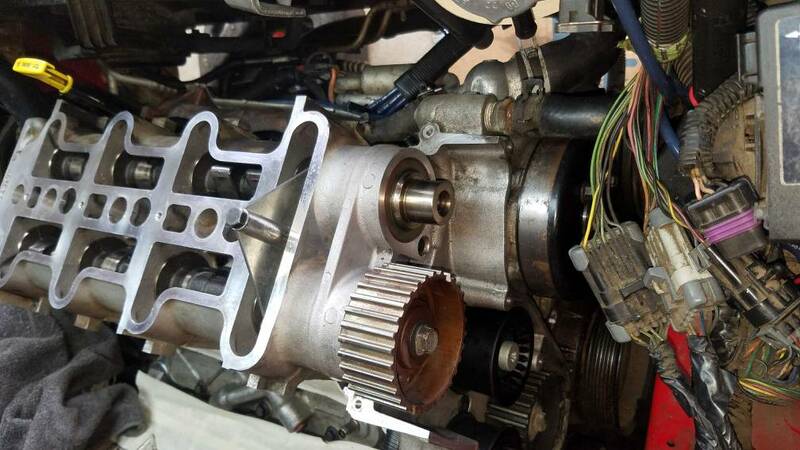 I'm waiting on a new timing belt actuator from group1autopart.com to finish up the engine. I've got a list of things needed to be done and a couple boxes full of parts to put on so it'll be road worthy but I will update as I finish things. Which it is unobtainium. Does anyone have one for sale, or have a way to remove said stuck bushing and put on the new one? Wait...the brass bushing is stuck to the old actuator, preventing you from removing the actuator from the bushing? Spray the daylights out of it with penetrating oil? It might work, not sure, but might be worth a try. I'd do penetrating oil and heat. Heat the brass fast and evenly and when a little spit on the tip of your finger sizzles when you touch it pry evenly with 2 screwdrivers. do you have a propane torch? a well directed conservative amount of heat only on the bushing should expand it enough to free it from the aluminum actuator, brass expands faster than aluminum does. 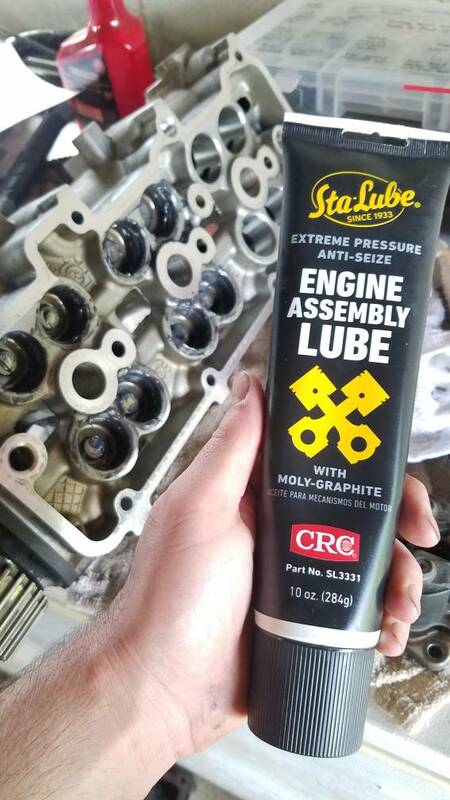 Before you buttoned up the block did you apply any assembly lube to the intermediate shaft/oil pump gear drive? I notice in that photo you took both are quite dry. Clamp it in a vice and set two screwdrivers or similar up on it first. Have to be fast when you sweat stuff so you get it before the aluminum expands too or let it cool and start over. I will let y'all know how it turns out. Thanks for the advice! Got the bushing off the old actuator however I ripped the boot on the old actuator, so having a spare will be buying another new one. But I used the torch and heated the bushing. I couldn't get it to slide off so I had to pull out the adjustable pliers and twist it off... That worked but it now has some small knicks in the bushing, even with covering it with a rag. But I did my best with the dremmel to smooth them out. I also had to heat it up and tap it on the new actuator. 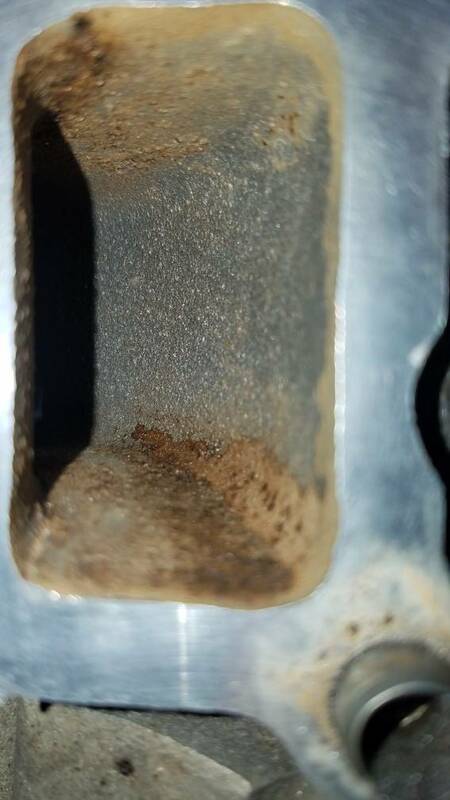 I might still have a hosed actuator with a good boot, and if so, I also should have with it the used actuator mounting plate, and bushing..Iâ€™ll do a little digging. If you find it, and you're willing to let go of it name me a price! Iâ€™ve not found it yet, but if I do, Iâ€™ll sell it very cheaply.. So to time this engine, the #1 cylinder is at TDC. (All factory marks are visible in yellow paint too btw) The Rear bank cams need the flats to face up, while the front bank cams need to be 180Âº out and facing down correct? I have the Kent moore kit too but I can't get to cam cog bolts to loosen up. And I'm not making sense of this Chilton manual I have. On my LQ1, I found the timing mark on the harmonic balancer to be off by approximately 6 degrees. I used a wooden dowel inserted into the Plug hole for #1 to find TDC. Thereâ€™s a little more to it, but itâ€™s not difficult. Are you having issues with the bolts, or getting the gears loose on the cams? 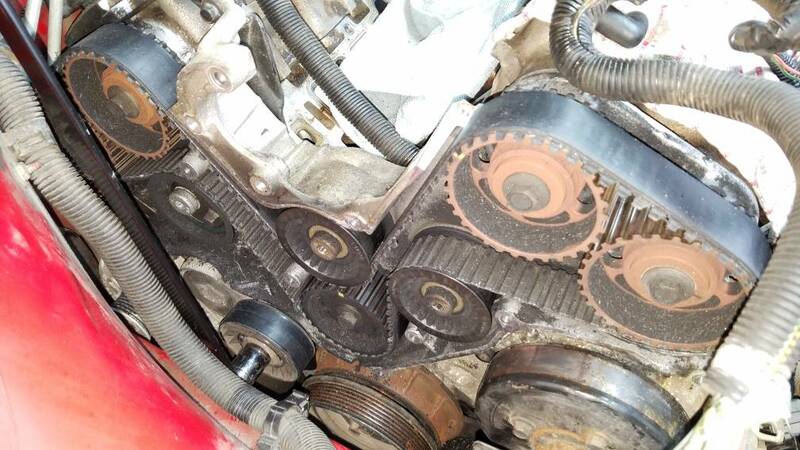 Iâ€™ll write more shortly, Iâ€™m on call for work...Iâ€™ve done a couple of those timing belt jobs on my old LQ1. I read one post about finding TDC, which it's spot on as soon as the piston stops raising the balancer notch is lined up at the arrow on the front cover. As far as getting the cam bolts out, I've managed to get the front cam bolts off, and one cog. The other cog is stuck on the cam. Get a paint marker, a dowel, and a piece of chalk. Remove #1 spark plug. Insert the dowel. Turn the engine clockwise, until the dowel stops rising. Make a chalk mark on the balancer aligned with the timing mark on the timing cover, , then turn counterclockwise, and repeat the process. Do this a couple of times to confirm the marks. Once certain the marks are accurate, true TDC at the crank will be a spot on the balancer EXACTLY midway between the two chalk marks. Donâ€™t be surprised if your new mark isnâ€™t in the same place as the mark as the permanent mark on the balancer. Mine was 6 degrees retarded. Itâ€™s important to stop rotating the crank the instant the dowel stops rising, then make the chalk mark. 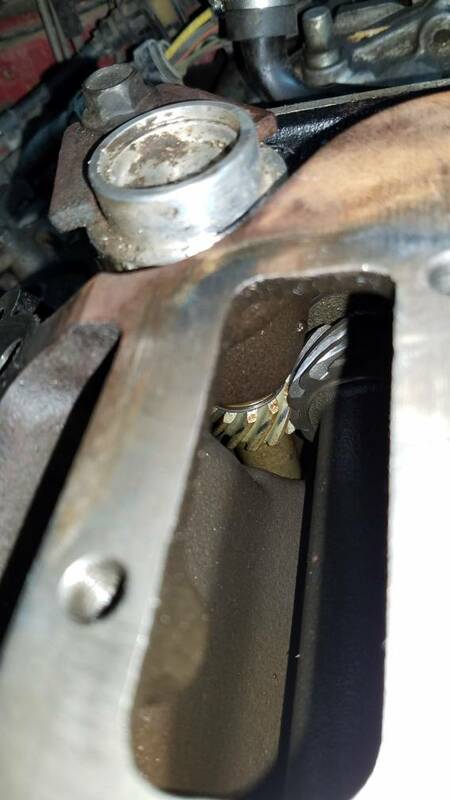 The piston stays up for several crankshaft degrees...thatâ€™s why you rotate in both directions, because youâ€™re looking for the actual zero degree spot on the crankshaft, which is between the marks you make in each direction. I got it timed, and put back together last night. However it sounds like the timing belt is whining. Is that normal for these engines? Or does that mean it's too tight? I can't remember my last one being this pronounced after the belt job. Iâ€™m assuming that the idler bearings/pulleys were replaced as well? Is the belt moving smoothly across the cam gears? Iâ€™ve looked everywhere for my old LQ1 stuff...havenâ€™t found anything yet, but Iâ€™m sure I didnâ€™t throw anything away. 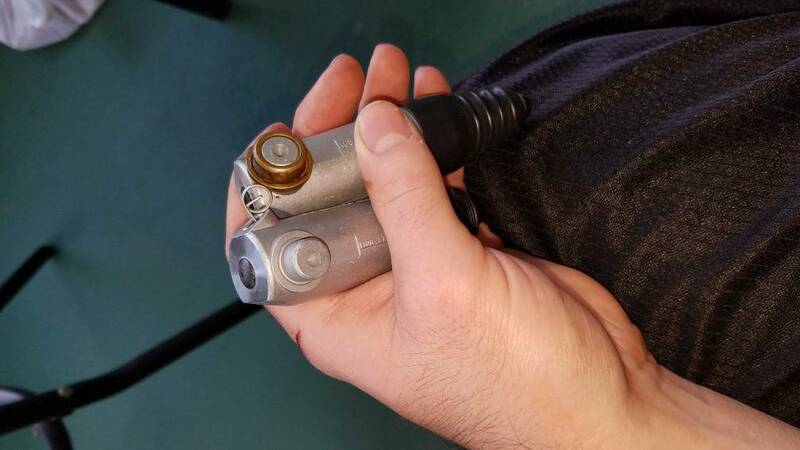 Did you ensure the actuator is properly in the socket when you pulled the installation pin? Did you engage the actuator after pulling the pin using a wrench on the tensioner? Iâ€™ve forgotten the proper torque value youâ€™re supposed to use for that step.